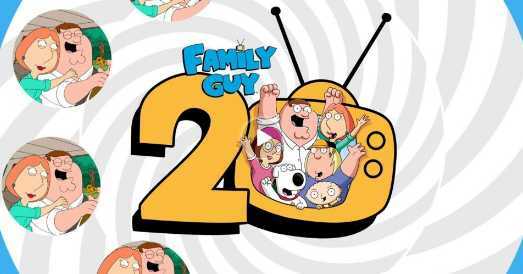 Enter into the TBS Family Guy 20th Anniversary Sweepstakes right now for your chance to win a Family Guy t-shirt, Blanket, Notebook, Rupert, DVD, Book and Christmas Tumbler Glass Set from Griffins. How To Enter: Go to this link:tbs.com/familyguy20th during the sweepstakes period and follow the online instructions to register by entering all information requested on the registration form and once you filled out the entry form now Click on the submit button to complete the registration form. Prize(s): There will be total sixty one(61) lucky winners in this Sweepstakes and these are: Fifteen (15) Winners will receive a Family Guy t-shirt, Four (4) Winners will each receive a Blanket, Five (5) Winners will each receive a Notebook, Twenty (20) Winners will each receive a DVD, One (1) Winner will receive Rupert, Fifteen (15) Winners will each receive a Book and One (1) Winner will receive Christmas Tumbler Glass Set . Total ARV of all prizes is:$1,460.!! When To Enter: This sweepstakes entry begins at April 08, 2019 until 11:59:59 p.m. EST, and all entries must be received by 11:59 p.m. ET on April 30, 2019. Who’s Sponsor: The Sponsor of this Sweepstakes is Turner Entertainment Networks, Inc., 1050 Techwood Drive NW, Atlanta, GA 30318.